HTC 10 Resurrection Remix (Codename: pme) Marshmallow Custom ROM is an UNOFFICIAL Android Marshmallow build for HTC 10. This HTC 10 Resurrection Remix M ROM is brought to you by developer Eliminater. Current status of this ROM is UNKNOWN. It is strongly recommended that you take either a NANDROID backup or take a complete sync of your phone data. If you want then you can have a look on the HTC 10 CyanogenMod 13 ROM installation guide. Before flashing Resurrection Remix on HTC 10, make sure that you have a custom recovery installed on your HTC 10. If not then download the recovery from above downloads section and you can follow this TWRP recovery installation guide on HTC 10. Download and Copy the GApps and HTC 10 RR (Resurrection Remix) ROM ZIP to your phone. First flash the RR M ROM ZIP from device. Then flash the GApps zip from your device memory. 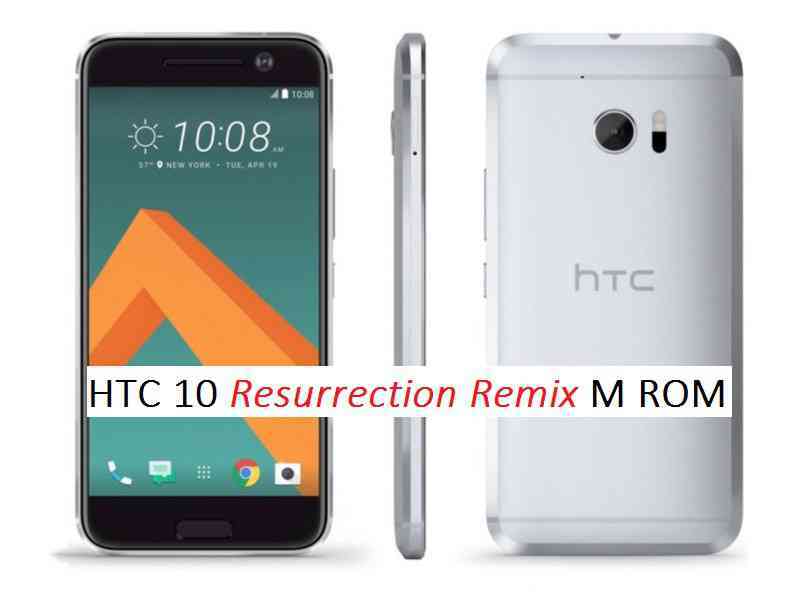 Reboot and Enjoy the Resurrection Remix M Marshmallow ROM on your HTC 10 phone. Copy the latest HTC 10 Resurrection Remix ROM ZIP file to your phone. The above guide is for CyanogenMod and it should work fine for the Resurrection Remix ROM too because the RR ROM is based on CyanogenMod ROM.